Christmas is almost here, so you’ve likely completed your shopping. If you haven’t and aren’t in an a hurry to get the gifts, then this article contains a couple of items I recommend considering for yourself or those you know. My reasoning for selecting the items in this list is simple. These are products or services that are by small businesses I know. The first item is for kids of every age. While this product was originally developed for building sand castles, it quickly became obvious that the real value of the product for most people is in using it with snow to build snow castles. This product was developed by a person I worked with for a few years. His “out of the box” thinking resulted in a mold for building castles that doesn’t leave you with sand stuck in the bottom of your bucket. Rather, the mold clamps and opens to make it easier to create masterpieces. Recently Kevin mentioned that they will be on QVC as well. You can find them in a number of stores around the country as well as online. You can order the castle kids online from their site at www.createacastle.com or from retailers such as Barnes and Nobles online. I personally recommend the Deluxe or Pro Tower Kits! If you are heading to the beach or expecting a couple of inches of snow, then this is the product to take your castle building to the next level! Yankee Candles are so last year. Today’s candle lovers want something a little more funky, which leads to the second product I’m recommending – Funky Munchkin Candles! Funky Munchkin candles are being created and sold by my friends, John and Terra. They started the candle business as a way to earn extra money to help fund their adoption process. The business has continued as they’ve expanded their candle line to a number of scents. So as to keep up with the times, in addition to the candles, they’ve also started selling melts. You can find more information on their site at https://funkymunchkincandles.com. At the time I wrote this, they were offering free two-day USPS priority shipping on orders. Most people think of gifts as items that can be wrapped and placed under a tree or given at a party. Sometimes, a great gift is one that not only provides enjoyment, but also improves the physical well-being of the recipient. Based on that, my next product to recommend is a membership to Apex Taekwondo in Fishers, Indiana. Apex is a newer business in Fishers, Indiana, so unlike many of the more established Taekwondo centers, you aren’t just the next subscription. Rather, the owner and his team are going to be able to give anyone that attends the attention they need to learn the art and skill of Taekwondo. Whether this is a gift for a child or for yourself, the end results are sure to be rewarding as you work to learn new skills. The owner of Apex is Master Stephen McEwan, who is a fifth degree black belt. Not only is Stephen experienced in training (he has trained over 500 students), he is simply a great guy! Like John and Terra at Funky Munckin, Stephen is someone I’ve had the chance to get to know. In addition to knowing Stephen, several of my friends have been taking his classes. As such, it is easy to recommend Apex and Stephen to anyone consider a unique type of gift! Sometimes a simple gift is needed. Not only is the Child Safety deck of playing cards a fun bit of entertainment, it is also a learning and teaching tool! This is a unique set of cards that can be used in the same manner as any other deck of playing cards. It can also be used as a dice alternative. Each playing card includes the picture of a six-sided dice with a number of dots showing form one to six. This is great for those times when you want to play a dice game, but don’t have a surface for rolling! The most important aspect, however, of this deck of cards are the safety messages that are included. Each card includes a safety message that is good for kids to know and understand. For example, the Queen of Hearts includes the message that lets you kwno that water temperatures less than 120 degrees won’t scald. The card also includes a kid-drawn picture to illustrate the safety tip. The Child Safety Playing Cards are available for order at http://kin2kid.com/product/child-safety-deck/. At the time of this writing the price had been lowered from $8.95 a deck to just $5.95! The final products I’ll recommend are books that I’ve mentioned before that are available on Amazon. These books were written by my parents, so clearly I know the authors. These books are Discipleship Training for Followers of Christ and Discipleship Training for Christian Outreach. Both paperback books present a study guide approach to learning about discipleship. Each chapter of these books presents a relevant topic along with questions and Bible versus to guide in learning. The answers to all of the questions (along with versus) are included in the books. At only $9.99 each, these are a great stocking stuffer or a gift for yourself! These are just four products that are easy for me to talk about. All are worth checking out! If you are still looking for that extra gift, then all of these work. While it might be too late for getting these in time for Christmas, all make great things to have any time of year! If you choose to purchase any of these, feel free to tell them Brad sent you! 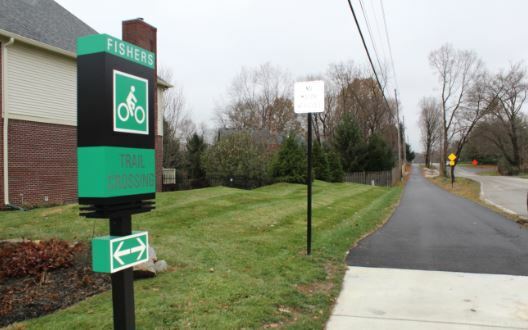 The Fishers City Council approved an increase to property taxes to pay for the first phase of the new Nickel Plate Trail that has been proposed to replace the Nickel Plate rail. 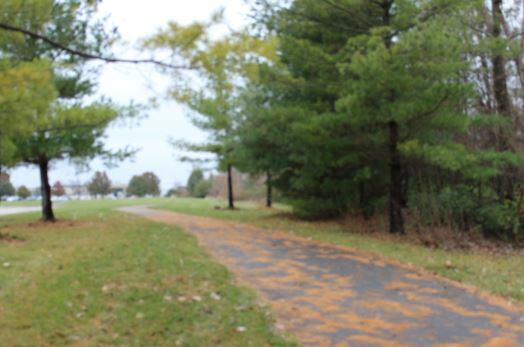 This tax increase is to help fund the $7 to $9 million cost for the first of three phases of the trail. What is worth noting is that the tax increase is roughly double the initial cost estimate for the total trail, even though it is only for the first phase. 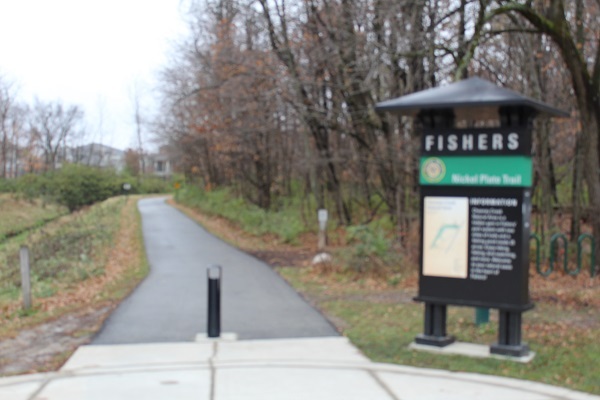 At the time of this writing the FAQs (Frequently Asked Questions) site for the Nickel Plate Trail still shows an estimated cost of roughly 4.4 million for the Fishers section. The first phase of the Nickel Plate Trial will run from 106th Street to 126th. What hasn’t been stated clearly is that there are already trails that run from just north of 106th all the way to 131st Street. These trails are within two blocks of either side of the tracks where the new Nickel Plate trail is expected to be. In fact, parts of these trails run next to the tracks. This raises the question, that if existing trails already run from 106th near the tracks to 131st, then why will seven to nine million be spent building another trail? Just north of 106th Street at the rail road tracks, you can find the Cheeney Creek Loop trail that runs through Cheeney Creek Natural Area. Not only does this park include walking and biking tails, but it also has a small lake (pond), lots of trees and a picnic area. The park and trails go from 106th Street to just north of 116th Street. North of the Cheeney Creek loop, the path crosses the road and winds through trees, around a pond, and through a neighborhood. In this area the trail winds through Big Wheel Park. 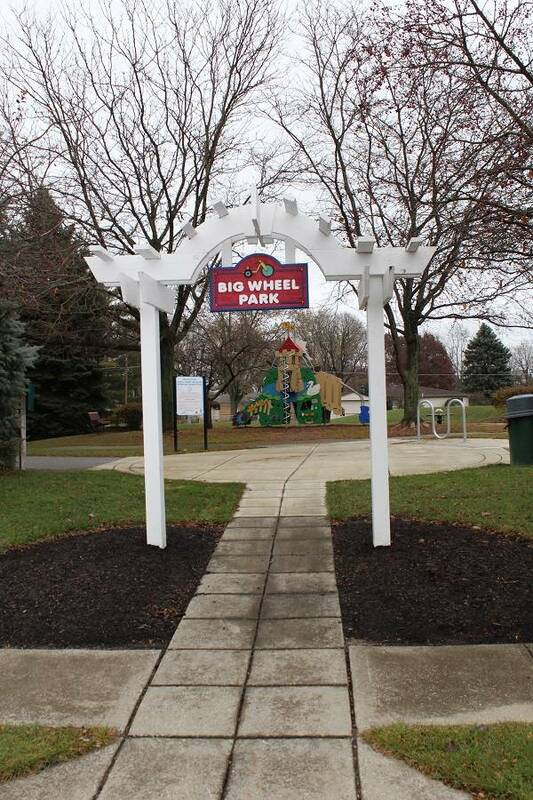 This park on the path includes playground equipment, a hilly sidewalk for kids to have fun, more picnic tables, and other amenities. Next to the park are both a creek and a pond. The trail continues from Big Wheel Pond across 116th Street and through the downtown area. You’ve likely noticed the cross walk just east of the tracks on 116th. Ironically, while the city expects to spend $2 to $5 million to build an underpass for a new trail where the tracks are located, there have been no comments about the crosswalk that is less than a stone throw away. What has been noted (but I’ve not confirmed), is that there are drainage issues in that area which could result in extra costs to try to build a trail that goes under the road. If you continue on the path through the downtown area, you’ll find that forks around the library and Lantern Road. One part of the fork is a path that winds across Lantern Road and the railroad tracks and goes through the Tech center area. The path then follows (parallels) the railroad tracks going up towards and then past the Launch Fishers facility. You can see parts of this form in the next figure. 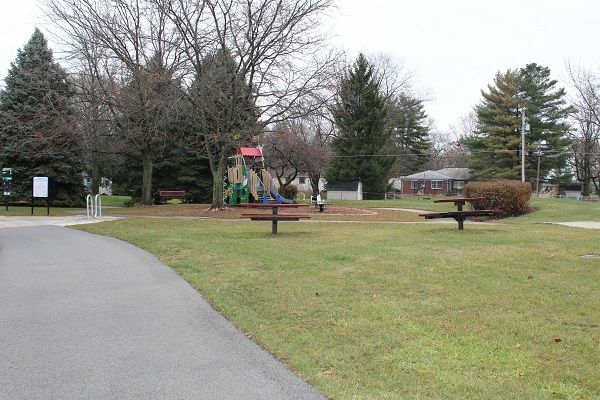 The area near Launch Fishers includes a few more picnic tables just off the path. Figure: Trial in the Fishers Tech Park area. The other fork going from downtown goes from the library area north along Lantern Road. This is a newly updated trail that follows Lantern Road all the way to 131st Street, where it turns West to Allisonville. 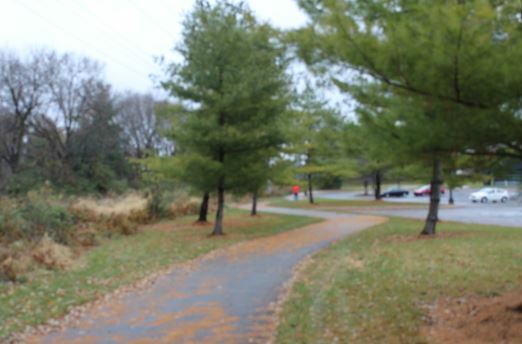 At Allisonville, the path then turns North and goes to the entrance of Conner Prairie. Why the city build a path from downtown to a facility that charges admission is unclear, but the path has been built. Currently the construction on Allisonville at 131st Street disconnects the part of the trail that is in front of Conner Prairie. That part of the path has been built and torn up (the grass and landscaping) several times in the last 12 to 18 months as road work is being done. Hopefully it isn’t tax dollars paying for the repetitive task. 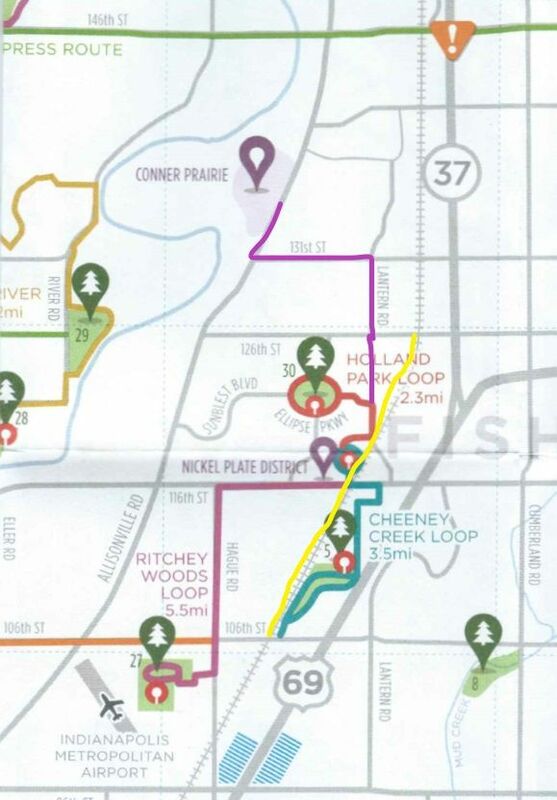 The existing trails from Cheeney Creek to 131st are within a block or two of the railroad tracks. These trails are all relatively new and paid for with previous tax dollars. As such, turning the rails into a trail between 106th and 126th as a first phase seems not only redundant with what is already there, but possibly unnecessary. 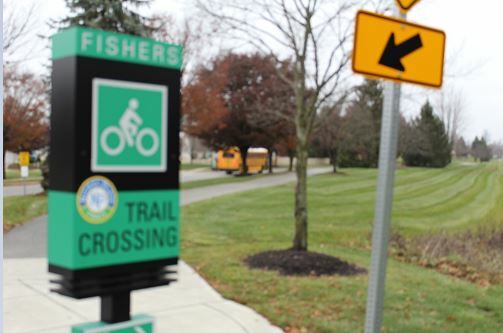 The fact that the city is raising taxes to build a trail nearly on top of existing trails, should cause many citizens of Fishers to raise there voices in concern with how their tax dollars are being spent. 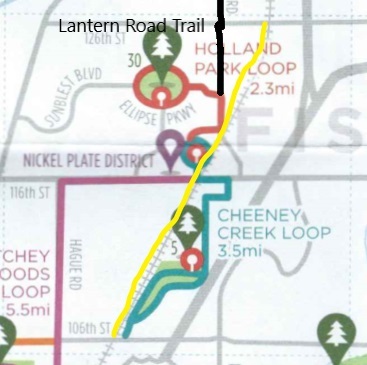 If the City wants to add trails, then, it would make more sense to build the trail from 96th to 106th connecting to Cheeney Creek’s trails and then build a connection from the 131st and Lantern trail to the tracks and go North. 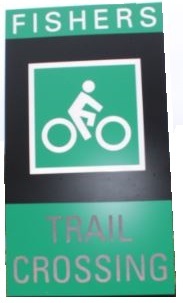 This would add new trail areas. Of course, when a trail already exists in the same area, then there is the question of how much is this new trail worth. While the city posted $4.4 million as a base cost in the Nickel Plate Trail FAQs, I’m not alone in estimating a cost that is likely to go over $30,000 ,000. That, however, is a topic for another article. As you can clearly see, my blog and site are a bit out of date. My day job, family, and other activities have monopolized my time. I hope to get back to regular posting in the near future. There is a lot happening not only around my local community, but in the world as a whole, so there is a lot to talk about! WRTV 6 did a story on teacher retention in Indiana schools today. They indicated that 18% of the teachers and administrators left their school in a single year. That puts the retention on average at 82%. With over 12,426 educators, that is a large turnover. You might think that HSE Schools are immune to this turnover; however, you’d be wrong. We have teachers leaving regularly as well, which is why I’ve raised it as an issue while running for a school board position. While some turn over is expected as a result of retiring or other reasons, there are also those teachers that state they are leaving for reasons such as being tired of “teaching to tests” or the teacher who feels they are not being heard. Some also leave to make more money in other districts. It was reported that 8.5% of teachers in Indiana left for reasons other than retirement. Before saying 8.5% doesn’t seem bad, that’s over 1,000 educators in Indiana. There are a few things that are concerning in the story. This includes the comment that Indiana schools are not tracking why educators are leaving. This is a topic I’m sure will be addressed by the administration as it would be mind boggling to think this isn’t being tracked. Glenda Ritz’s comment about taking the issue to the General Assembly seems extremely odd. Why would you not simply tell the school administrators to start tracking why teachers are leaving so you can work to retain those that remain? Any administrator deserving of the role should already be tracking or aware of this. If it takes getting a group of politicians to tell you it is okay to do a basic management function, then we have a bigger task ahead of us if we want to fix issues in our schools. Furthermore, creating a panel to review the causes is great, but if that panel fails to ask any of the other 12,400+ educators questions, then the last work that should be used to describe the effectiveness is “proactive”. On the positive, discussions around teacher pay as well as on how teacher evaluations are done makes a lot of sense. These are topics that do need to be addressed at the state and district level. The article actually includes retention rates for Indiana schools. I’ve not verified the data with what our administration, but I’ll assume that RTV6 has verified this. Here are numbers for some of the HSE Schools for 2014-15. Note that our average from these schools is 81%, just under the state average of 82%. Nine of the schools scored below the state average. Clearly there is work to be done in the area of retaining good teachers.